Chris Bell specialises in the development and implementation of a consistently delivered quality customer service experience that results in business growth and increased profitability as a result of high employee engagement, greater customer loyalty and customer word of mouth recommendations..
Chris is New Zealand’s leading expert in the design, development and implementation of Customer Service Experience strategies and has worked with a broad range of businesses in a number of industries both as consultants and through our highly interactive and innovative seminars and workshops. 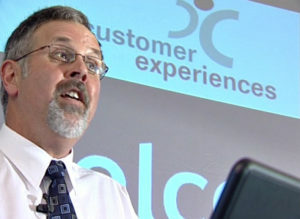 David Blair specialises in the supporting skills that enable implementation of your Customer Experience Continuous Improvement Journey - "If you're not moving forward, you're moving backward." 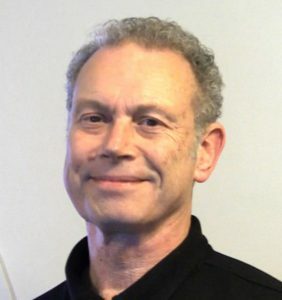 David has over 30 years experience as a trainer and facilitator which includes delivering and producing video-based training materials (such as Leadership, Sales, Management, Software Applications) along with workbooks, online learning systems, and other support materials. Every touch point your customer has with your organisation needs to be examined and refined in the context of excellent customer experience. This includes your website, on-line store, telephone system, along with every point of personal contact as determined by developing your Customer Journey Maps. David has a Graduate Diploma in Computer-based Learning and a history in innovation, project management, software development, video production, and training / facilitation.